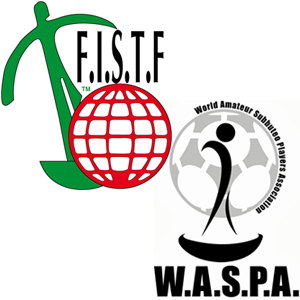 The latest WASPA rankings are out and, combined with the fact that a number of Australian’s recently competed in the FISTF Asian Cup, there’s been plenty of movement on both world ranking charts. Melbourne TFC’s stranglehold on the top places in the WASPA rankings has taken a beating this year as other clubs around the country, particularly up in Brisbane, have seen regular competition move their players upwards. Meanwhile, Eliot Kennedy has snuck to the top of the list though, technically, only on alphabetical order as both he and Luke Radziminski share the honour of being Australia’s top amateur players. In the FISTF charts, Peter Thomas continues to head up the Open’s list, having been the most successful Australian at the recent Asian Cup in Singapore. Most of the other FISTF charts have been fairly static, without any FISTF tournaments for most of these players since January. For the full world rankings, click here. This entry was posted in World rankings and tagged world rankings on 07/07/2016 by ajebec.